Click here to visit the Garnier facebook and like them. Then on the “Ultra Lift” tab, click “Get A Sample.” On the page that comes up, just fill out the form to request your free samples. Allow 4-6 weeks for delivery. i would LOVE to receive free sample from your site!! Thank you!! I love your products and can’t wait to try the ultra lift serum. 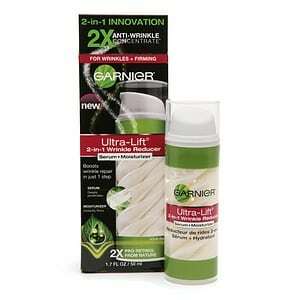 garnier has been a great name in products Ive tried. I would love to try this! Look forward to try this!!!!! Hi I love Garnier products! I would appreciate a sample! Would love to try this product, please! would love to try it. Please send me a sample. Thank you. Garnier products are great my family loves the hair care products and can’t wait to try the skin care product too thank you so much for the chance to try before we buy. WE LOVE GARNIER!!! sure would like to try this sample hope to get this.